MIAMI - It will be much harder to say "kiss me," "hug me," and "crazy 4 u" with candy on Valentine's Day this year. Sadly, the iconic Sweethearts candy, used by friends and lovers to express heartfelt feelings on the holiday, will be missing from store shelves after the company that makes the sweet treats went out of business. The Detroit Free Press reports sales for Sweethearts, which usually reach a whopping $1.8 billion, will drop by more than 80 percent this year. When Necco went out of business in July 2018, Sweethearts lovers went on a hoarding binge before they went extinct. A new company purchased Necco in September, but did not have enough time to produce the candy for Valentine's Day. Of course, some are now taking advantage of the Sweethearts shortage by selling them on Amazon and eBay, but it'll cost you. 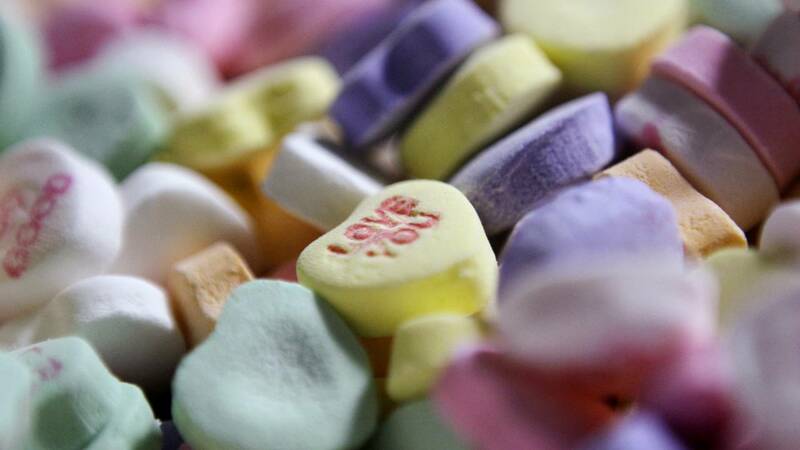 You can also find faux-Sweethearts on store shelves, although they're not the "real deal."